ROCHESTER -- Erick Arroyo Cruz, 34, of Rochester, NY, who was convicted of being a felon in possession of a firearm and ammunition, was sentenced to serve 63 months in prison by U.S. Chief District Judge Frank P. Geraci. Assistant U.S. Attorney Katelyn Hartford, who handled the case, stated that on March 8, 2018, the defendant was a passenger in a vehicle being driven by an individual who was the subject of an outstanding federal arrest warrant. When police stopped the vehicle, they discovered Cruz had a loaded .22 caliber pistol in his jacket pocket. The firearm was previously reported stolen during a gun store burglary in Wayne County. Investigators learned that the defendant had numerous prior felony convictions and that he had just been released from prison less than 24 hours earlier. As a result of his prior convictions, Cruz was legally prohibited from possessing a firearm. 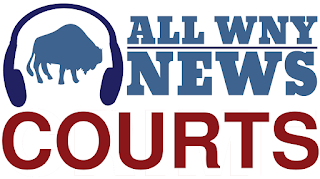 The sentencing is the result of an investigation by the Rochester Police Department, under the direction of Chief Mark Simmons and the Bureau of Alcohol, Tobacco, Firearms, and Explosives, under the direction of Special Agent-in-Charge Ashan Benedict, New York Field Division.